I travel reasonably often as part of my work. 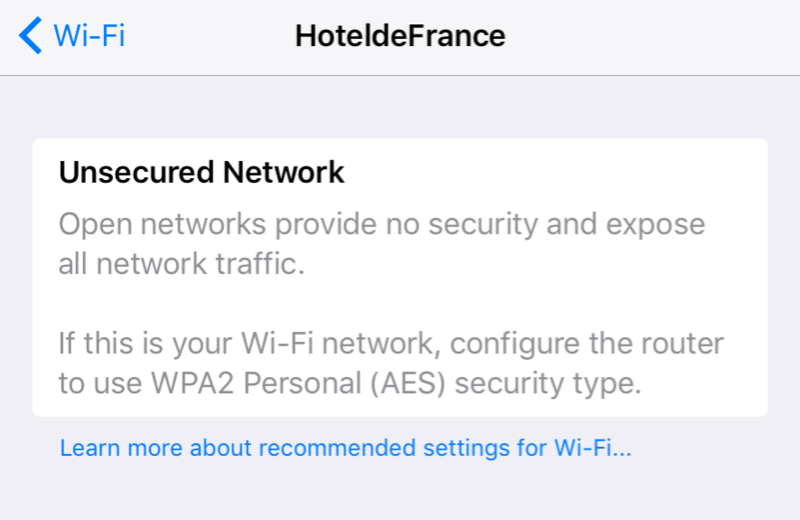 One trend I’ve noticed recently is for hotels to provide unsecured wifi, without even so much as a landing page. While this means a ‘frictionless’ experience for guests connecting to the internet, it’s also extremely bad practice from a security point of view. Unless you know and trust the person or organisation providing your internet connection, you should proceed with caution. Your data are valuable - the business model of Facebook is testament to that! Protect your digital identity. A Virtual Private Network (VPN) is a way to route your traffic through a trusted server. You could run your own, but the usual way is to pay for this kind of service to ensure there are no bandwidth bottlenecks. A nice little bonus to using VPNs is the ability to make it look like you are based in another country, meaning you get access to content that might be restricted in your own country. I’m not going to screenshot every step, but I’m sure you can figure it out. 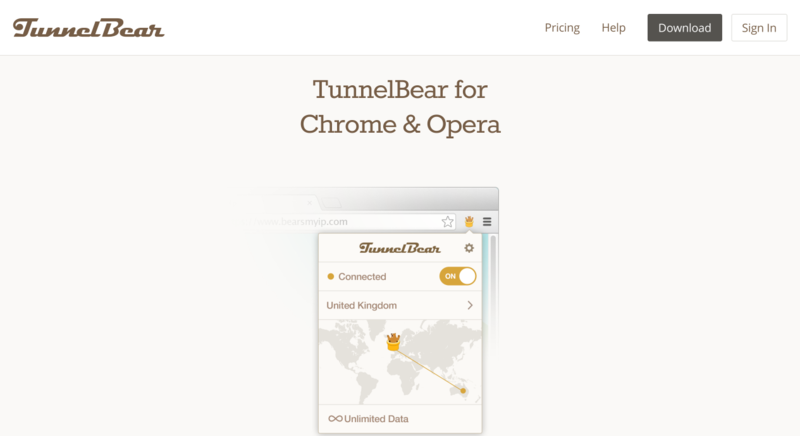 1) Download TunnelBear from the App Store. 2) Open the app and sign up for a new account. You could use a throwaway email account like Mailinator if you’re willing to keep setting up new accounts, I guess. 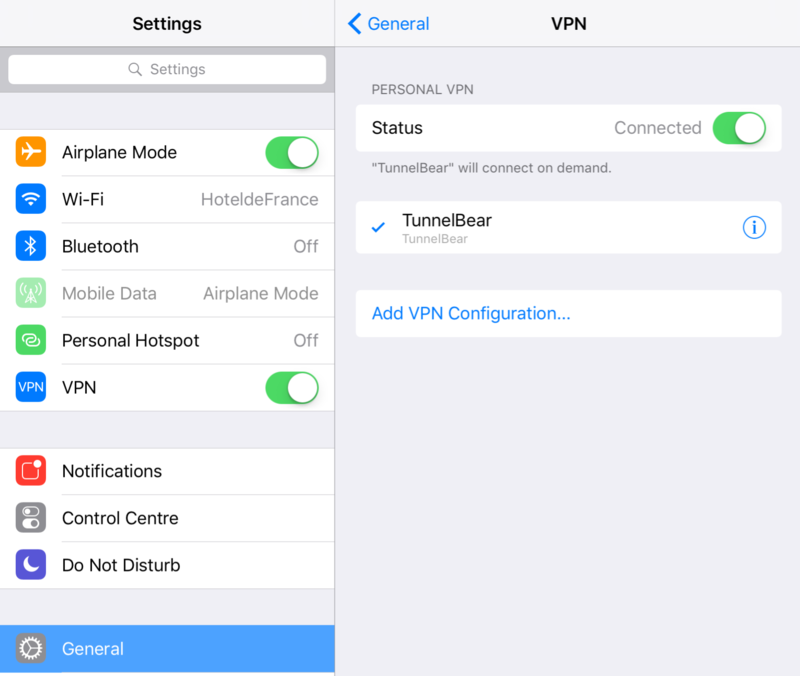 3) Allow TunnelBear to change the VPN settings for your device. 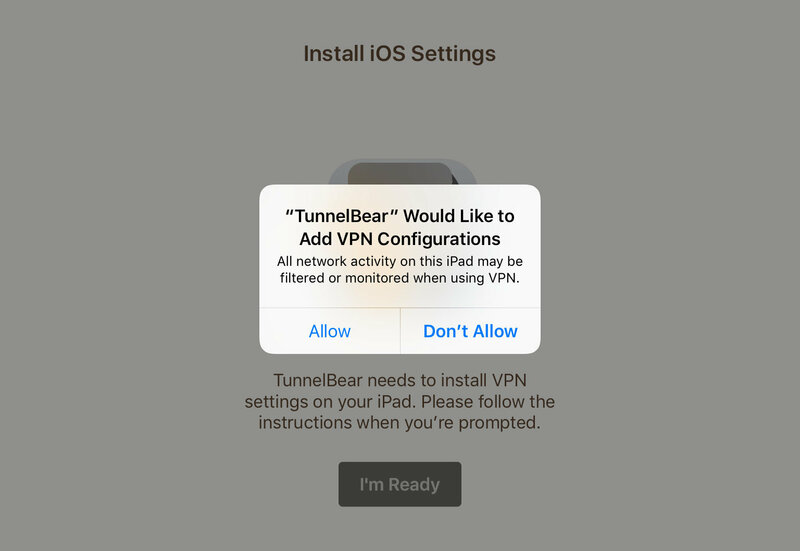 4) Once these VPN settings are installed, you don’t actually have to use the app, as you can connect by going to Settings → General → VPN and toggling the switch to ON. When this toggle switch is on, all of your traffic is being routed through the VPN. 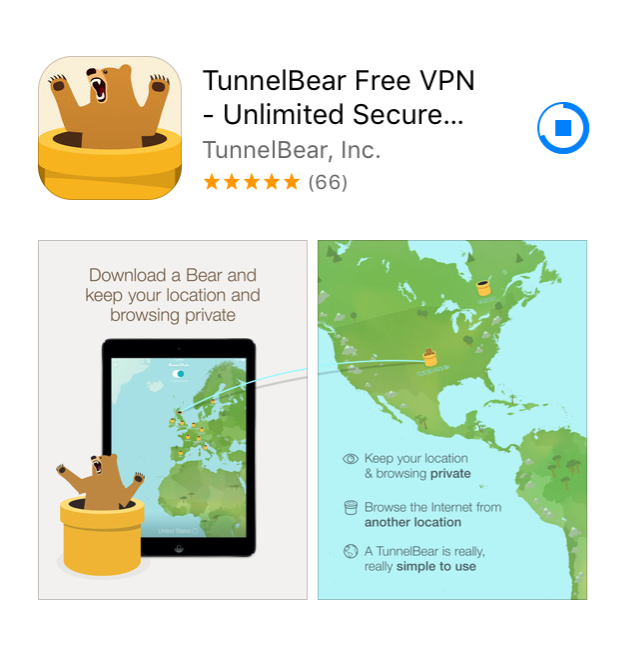 I’d recommend setting up TunnelBear (or whatever VPN you choose) before travelling. That way, you don’t have to connect to an unsecured wifi network at all. For more advanced users, there’s Tor and the Tor browser, based on Firefox. This works slightly differently, bouncing your traffic around the internet, and is actually what I use on Android for private browsing.